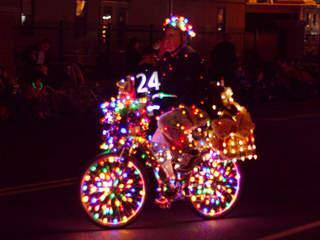 Our Lighted Street Parade is almost upon us and there is still room for more entries. We line up in the lot across from the Farmer’s Market at 4:30 on Saturday and parade down second street at 5:30. There is a $100 grand prize sponsored by the Folks at the Continuum Building. And the Greater Bandon Association has lights if you need them. Call Dana at (201) 704-1284 for more parade information or to register.